Children can be such a blessing, but if you aren’t prepared for some of the concerns that face their dental health it can become something of a nightmare. You’ve gone out of your way to get all the other elements in order, with the best doctors, educational toys, and even going with cloth diapers to help start them on civic responsibility early, so what could you have possibly forgotten? It may sound strange, but you should already be planning your newborn’s oral hygiene upbringing, and it should start with a visit to the dentist by the time they’ve reached one year old, or when their first teeth come in. My Child Has No Teeth! Why Do They Need To See The Dentist? While it may be true that your child has no teeth presently visible through the gums, the tooth buds in their jaw are already hard at work, preparing to produce strong healthy baby teeth and push them through their gums. Before they’ve ever got their first tooth your baby needs to be seen by the dentist to ensure that everything is in order and that they’ll have a healthy future ahead of them. This earliest stage is a great time to catch things that may not be apparent until later in life otherwise, like crowded teeth and potential gaps that will persist into their adult teeth. How Does Having My Child See A Dentist In The First Year Help? Outside of the benefits of getting early warnings about potential health problems for your child, there’s also setting a precedent for fear-free visits with their dentists in the future. While some children have anxiety about seeing the dentist that ranges from simple jitters to full-scale meltdowns, research has shown that developing a relationship with your dentist early can help mitigate these issues. By getting started early, you’ll ensure that your child will view a trip to the dentist as nothing other than routine, and will set them up for a great future with perfect dental health. When Should I Take My Child To The Dentist, and How Should I Prepare? Most dentists and pediatricians will suggest that you take your child to see the dentist either within 6 months of their first tooth erupting or by age one. By getting started with dental care early in your child’s life you’re going to be certain that any potential issues are identified while they can still be easily corrected. 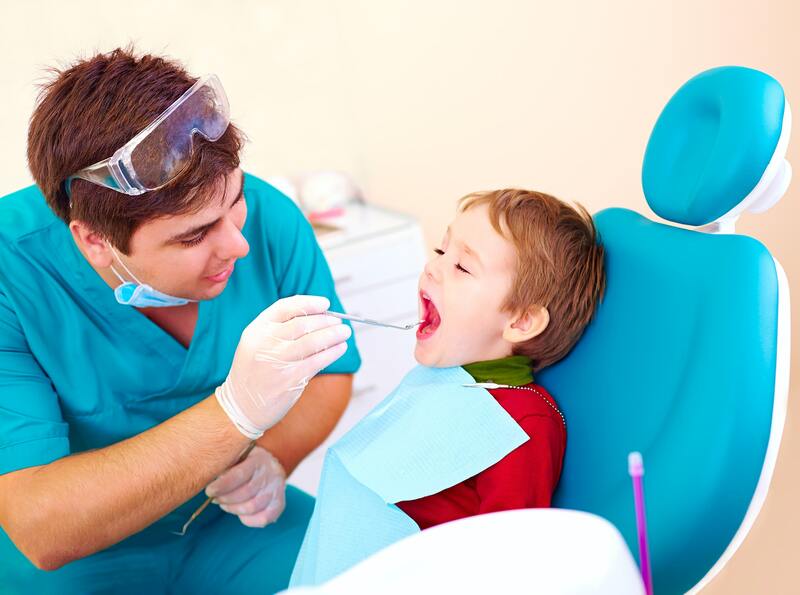 To prepare it has been suggested that taking your child along when you go to one of your visits can help set the stage and show them there’s nothing to fear from their dental health professional. If you’ve had a new baby and are looking for the right pediatric dentist for them, consider stopping in at Smiling Kids Pediatric Dentistry in Indianapolis, Indiana. Under the guidance of Dr. Swati Singh, this facility has been providing comfortable and anxiety-free experiences for the families in the surrounding region and would be happy to add your family to theirs. Stop in or make an appointment and start your child on the path of fear free dentistry.